I keep waiting for the sun to come out so I will have enough light to take some photos of my own Christmas decor. I know it is up there somewhere, hiding behind that massive cloud cover. Our temperatures have been relatively mild recently, but that is changing this week, with highs in the 30s. Time for some serious cozying up by the fireplace. What is your favorite winter drink? I love hot chocolate, but have vowed to give up chocolate as it makes me achy. SIGH!! So I am drinking hot green decaf tea. I know it's a much healthier choice, but sometimes you just want what you shouldn't have. So, since I can't reveal my Christmas decorating yet, and there is a massive amount, I will share some great table top tree ideas from other folks. 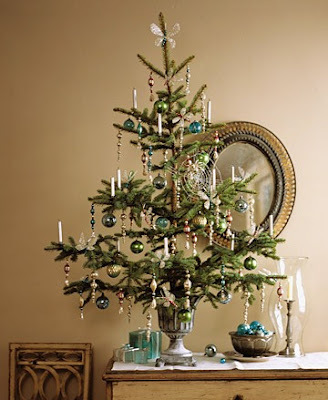 Even if you feel like you don't have the space for a full size tree, a smaller tree on a table can be just as festive. 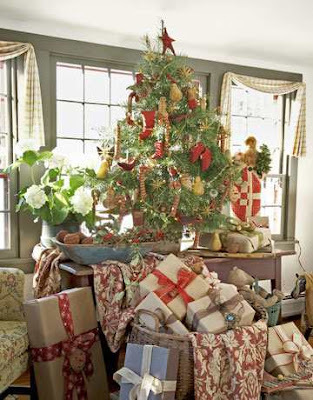 I love this tree and the gifts piled up in the large basket. what do you think of these colors for a bedroom? I think this is a great idea. If you live in an area with lots of pine trees, you could make this yourself. Very natural and could be kept for future years. 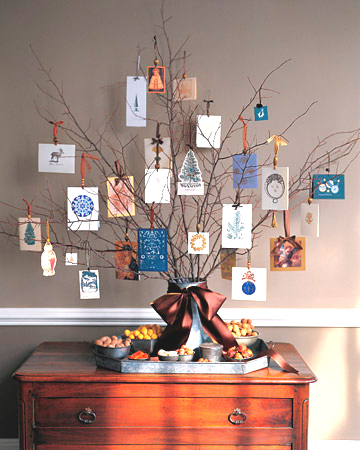 a memory tree is a wonderful, inexpensive idea for a small space. 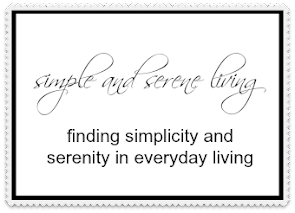 Collect some branches and hang old photos, cards, postcards, etc. for a tree that is uniquely yours. oh so lovely for a Christmas wedding or other festive occasion. 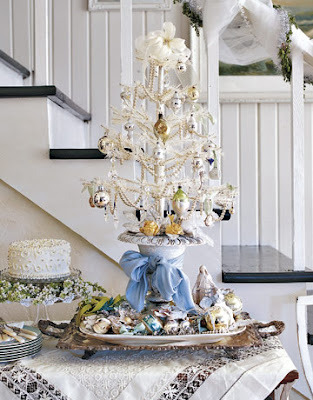 a lovely elegant table top tree. So whatever your style or budget a small tree sitting on a table can turn your everyday space into the perfect Christmas space. Table top is the way we are going this year. First time ever! Thanks for popping in. So nice to meet you. 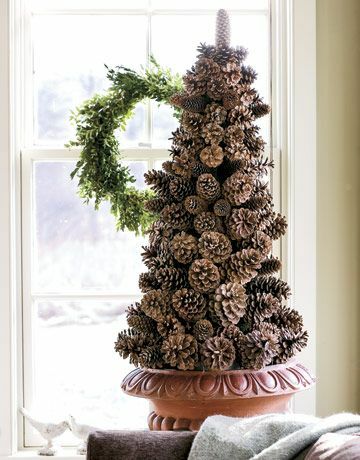 These are such really great ideas for decorating with small trees. I love the unique containers. We'd love to have you link it to our "What's It Wednesday" linky party. Hope you can make it! I love the basket full of presents in the first picture, and the pretty silver urn the tree is in on the last one! Thank you for joining our linky party. 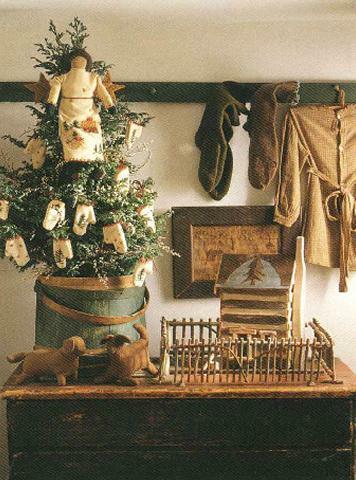 I am loving the small tree decorating ideas. My favourite is the one with the gifts in the large basket. What a fabulous idea.